How much homeowners insurance do I need? | Insurance Litigation Group, P.A. If a hurricane, tropical storm or other major weather event strikes, you’ll want enough homeowners insurance to protect your home and your assets with adequate coverage. Insurance Information Institute put together guidelines to help determine the coverage and amounts you need. From major factors that will impact home rebuilding costs to other considerations such as identifying whether or not your home is up to code, check out the guidelines here. As important as it is to purchase the right policy, it is equally important that you understand the terms of your policy so that you know your rights and obligations under insurance law. If you ever experience property damage and are not sure what the next step is, call the team of professional adjusters and attorneys at the Insurance Litigation Group (ILG). At ILG, we can handle your entire claim from beginning to end. 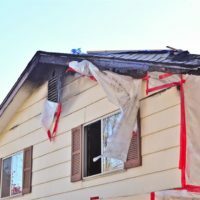 So if your property was damaged during a tropical storm, hurricane or other severe weather event or if you have roof damage, roof leak, pipe burst, plumbing backup, water damage, wind damage, mold, smoke-fire damage, lightning, hail, flood, theft, vandalism, or construction defects DON’T WORRY, the experienced and aggressive adjusters and attorneys from ILG are on your side. The ILG team, will help you determine what you are owed under your policy and will advocate on your behalf to see that you get the full benefits you are entitled to. Don’t delay and contact us today for a free consultation in Florida.